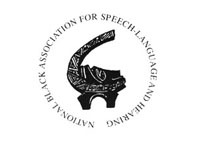 Founded in 1972, NSSLHA is the national organization for graduate and undergraduate students interested in the study of human communication and related disabilities. NSSLHA is the only official national student association recognized by the American Speech-Language-Hearing Association (ASHA). NSSLHA has approximately 13,000 members with chapters in more than 300 colleges and universities. The annual Contemporary Issues in Communication Science and Disorders (CICSD), a NSSLHA publication. Qualify for the NSSLHA-to-ASHA Conversion Program and save significantly on dues and fees for your first year of ASHA membership and certification. Use the Employment Referral System/Placement Center to assist with your job search. Visit the web site by clicking here.